In the old days you used to drive far, far out, on a snowy day and after a long hike you fell a pine tree to decorate it at home and enjoy it throughout the winter. 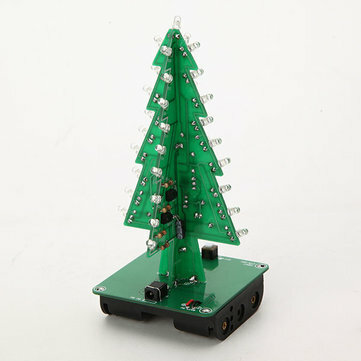 But that’s not up to date anymore, decent Nerdchristmas is only possible with this DIY-Set LED Christmas Tree. This set not only combines chic PCBs with a Christmas atmosphere, but also radiates a certain geek coolness. 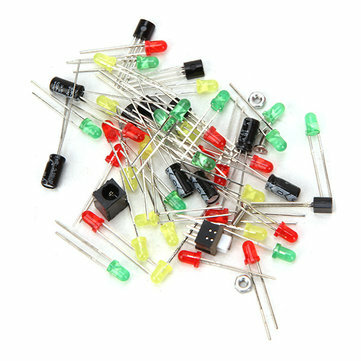 Maybe you should have some experience with the soldering iron and the principle of direct current and alternating current, but it is also a nice gadget for beginners – and an ambitious goal. Banggood has also compiled a guide – Instruction for Christmastree – which is quite understandable, but will be incomprehensible to an absolute layman. 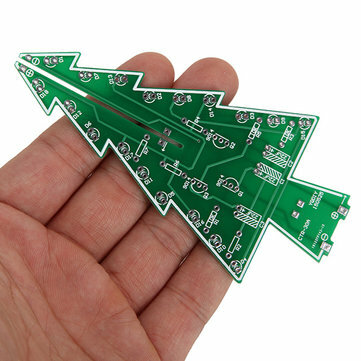 The tree consists of three printed circuit boards, which can be put together to a Christmas tree form, everything is already pre-etched and one must solder only the resistors, transistors, LEDs etc. at appropriate place. You can choose between a variant with 3 different coloured LEDs or a variant with multicoloured LEDs. With this gadget you can conjure up even in the most chaotic hobby corner some contemplative Christmas spirit and learn a lot.